Illinois - They must disclose their finances. They must provide real-time video from security cameras. They must draw diagrams of the production models. But medical marijuana growers seeking the new state licenses can stay silent on one aspect of their business plans: how they will acquire their first seeds and starter plants. On Monday, the Illinois Department of Agriculture will start taking permit applications from would-be growers and sellers. 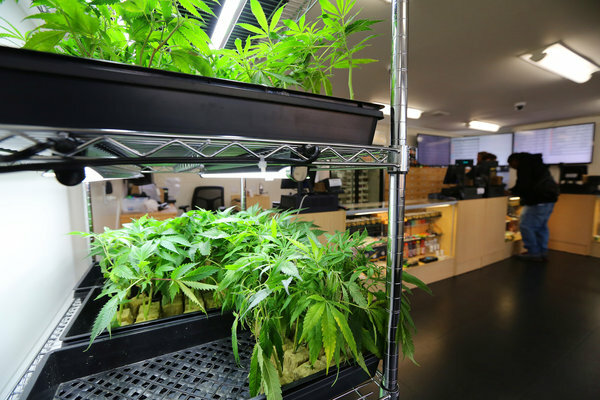 Those vying for one of the 21 cultivation or 60 retail licenses are rushing to meet the state's requirements -- considered the toughest in the nation -- before the Sept. 22 deadline. Lawmakers anticipate regulators will award the licenses before the end of 2014, but it will take another four to six months before the first crop is ready for market. Growers will start with seeds or clones (starter plants) for which technically there is no legal source. Although 20-plus states have legalized medical marijuana, the federal government hasn't, so moving seeds over state lines is illegal. In Illinois, possession of pot will remain illegal except for licensed growers, retailers and card-carrying patients. As state regulators look the other way, growers, therefore, will turn to an underground market. "It is referred to as the 'immaculate conception,'" said Michael Froelich, an attorney representing cultivation and retail hopefuls. By the time they turn in their applications to the Illinois Department of Agriculture, the serious growers will have plans in place to obtain seeds or clones, said Dan Linn, executive director of Illinois NORML, which has been working for marijuana legalization. They can volunteer those plans on the application, but only have to describe the strains of medical marijuana they intend to grow. "It's kind of a 'don't-ask, don't-tell,'" says Michael Mayes, CEO of Quantum 9 Inc., a cannabis consulting and tech firm in Chicago. How to find the best seeds boils down to genetics. Depending on who you ask, breeders in Vancouver, Holland, California and Colorado offer the purebreds of marijuana plants -- tailor-made for specific ailments. The most popular method here? Cloning, Linn says. Most growers cut off and replant a branch from an immature plant, a process that offers consistency and, some think, a quicker harvest. Overseas seed banks often ship small packages illegally through U.S. mail. And cultivators from states that have legalized recreational and medical marijuana smuggle in clones. Closer to home, black market growers will either sell or donate seeds to cultivation centers. In the latter case, the payoff for their generosity is in bragging rights. "They would, probably as a matter of pride and ego, donate it to get their own brand out there," Linn said. An incident this past spring, however, may suggest the feds are not entirely happy to look the other way. In May, U.S. Drug Enforcement Administration agents seized industrial hemp seeds shipped from Italy to University of Kentucky researchers in a program managed by the state's Department of Agriculture. After clearing customs in Chicago, the DEA intercepted the seeds in Louisville. 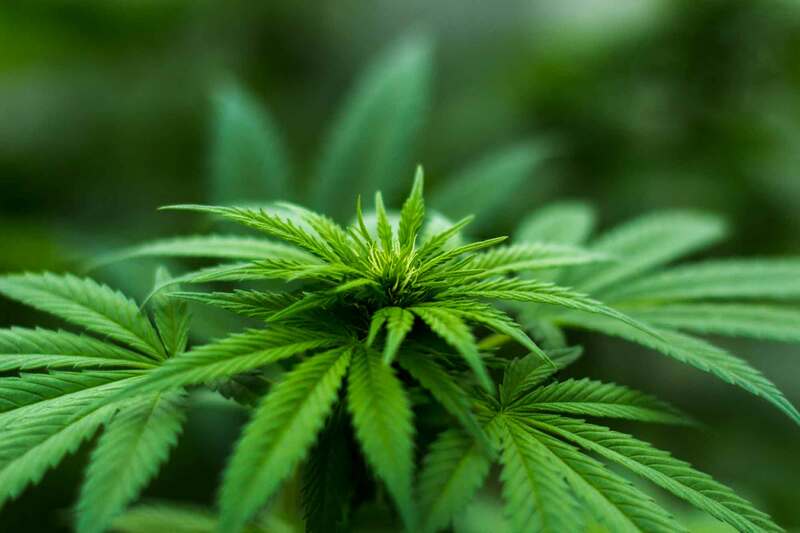 A federal law enacted in February allows pilot studies in states like Kentucky that have approved production of industrial hemp -- which contains less than 1 percent of THC, marijuana's primary psychoactive ingredient. Weeks after the raid, the DEA turned over the 250-pound shipment in the face of a lawsuit from the Kentucky Department of Agriculture, whose leaders agreed to apply for a federal permit to import hemp seeds. "Eventually, (the DEA) caved to the political pressure," Linn said. Illinois state Rep. Lou Lang, lead sponsor on the Compassionate Use of Medical Cannabis Pilot Program Act, expects no retaliation from federal drug agents against Illinois growers, but he cautioned that international trade invites attention. "The feds have said, 'You follow the rules of your state, and we'll stay away from you,'" the Skokie Democrat said. The shadowy market for seeds is one of the examples of conflict between the 23 states that have approved medical marijuana laws and federal rules. "Once businesses here are up and running, the obstacles they will face won't be unique to Illinois," said Rebecca Millican, an attorney with the Canna Law Group's Chicago office. Both potential growers and retailers have struggled to open accounts with banks, despite federal guidelines meant to encourage financial institutions to open their doors to the industry. "We believe the law is still the law," said Linda Koch, president and CEO of the Illinois Bankers Association. "And the federal law today considers cannabis as an illegal substance and therefore would subject banks to penalties." Bankers fear they could be charged with financial crimes for catering to marijuana sellers. U.S. Deputy Attorney General Jame Cole outlined in a February memo to attorneys when prosecution "may not be appropriate," but that's not legal protection. Banks have to file "suspicious activity reports" for marijuana-related businesses. "Banks have to be constant in that oversight of that customer relationship," Koch said. Some marijuana businesses have turned to private investors and, in some instances, credit unions for startup financing. But many applicants say they plan to operate as all-cash businesses. "This is an extremely unique challenge, and there are roadblocks in every direction," adds Joseph Friedman, a Lincolnshire pharmacist who is applying for three dispensary permits. Blake Lange, a horticulturist hoping to open a cultivation center in the Chicago area (he won't disclose where), is still working to get investors on board. The Illinois native considers out-of-staters with deeper pockets and experience in growing medical marijuana as his stiffest competition. "I'm kind of like the David versus some of these Goliaths," Lange said. Would-be cultivators must clear pricey hurdles: a $25,000 nonrefundable application fee, plus demonstrating they have at least $500,000 in liquid assets. For growers who get a license, they must prove they have $2 million in an escrow account or surety bond. Applications will be scored in six categories with a chance at bonus points. And they will be judged heavily on security plans. "We're going to be looking for those that are most likely ready to go the moment we issue a license," said Bob Morgan, the state's coordinator for the four-year pilot program. State Rep. Lang anticipates the state awarding licenses in November and December. By spring 2015, the state expects, patients with at least one of about 40 qualifying illnesses will finally begin buying the drug, in limited amounts, from dispensaries. Froelich guesses the potential cost of an ounce will be $200 to $400. Patients will be permitted to buy up to 2.5 ounces every two weeks. The state won't regulate the prices charged at dispensaries, but dispensary applicants can get bonus points for offering discounts to low-income patients. Given their startup costs, cultivation centers aren't expected to turn a profit until the end of the pilot program in 2017, when consultants say the value of the Illinois medical marijuana industry could top $250 million annually. "There's a lot at stake here," Blake Lange said.